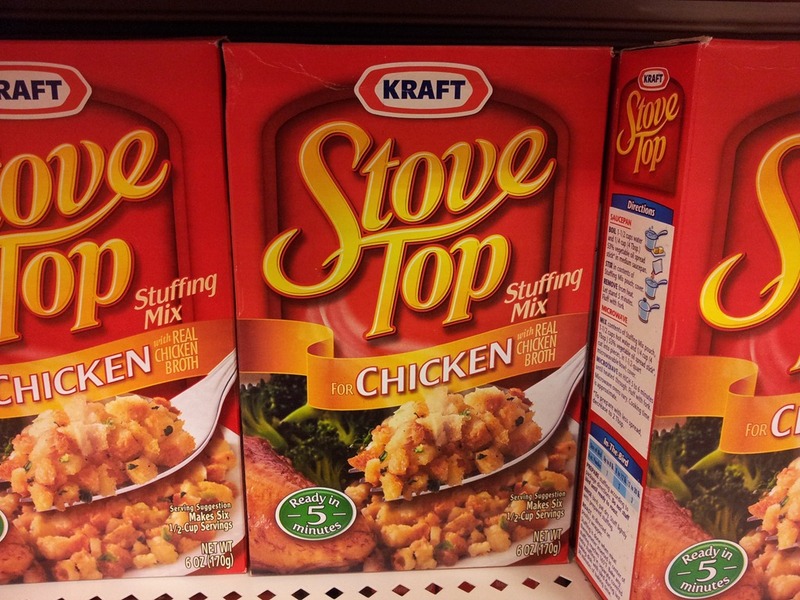 I grew up on Stovetop Stuffing. The red box was totally integral to our holiday season. My sister and cousins and I could demolish two or three boxes of Stovetop Stuffing all on our own. We called the kids’ table the “black hole” completely in reference to our ability to eat stuffing. Look familiar? Yes, I was that crazy person taking pictures of groceries in Target with her phone. I’ve missed Stovetop stuffing since I stopped eating meat. 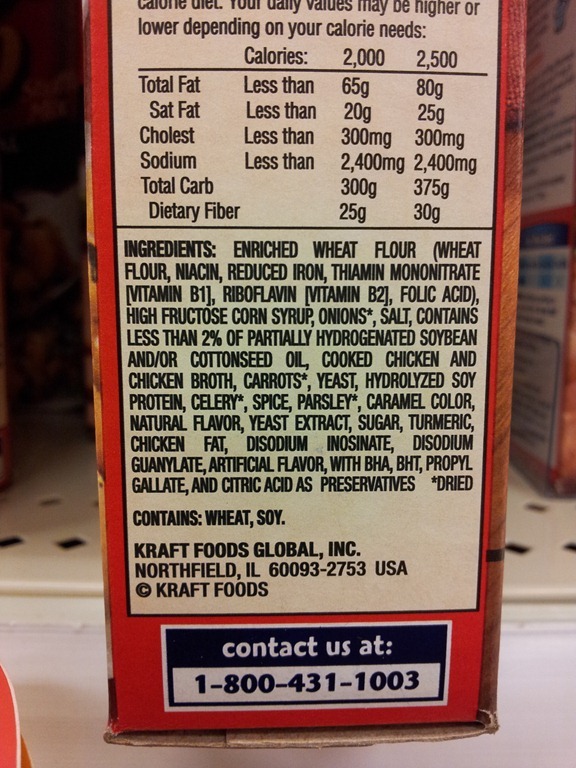 But really, it’s not made with the most recognizable ingredients. As I experimented with this stuffing recipe, I found that the dominant flavor from the stuffing I remember is butter. Really, if you remember my mashed potatoes post, this should come as no surprise. My grandmother clearly stands by a “butter makes everything better” cooking philosophy. One of my cousins recalls being scolded for not adding at least two sticks of butter to the mashed potatoes. Obviously I should have started with butter. This stuffing recipe isn’t gourmet, and doesn’t use fancy ingredients. My only goal was to recall the stuffing we ate as children, so my cousin and I could reclaim one of our favorite Thanksgiving dishes. 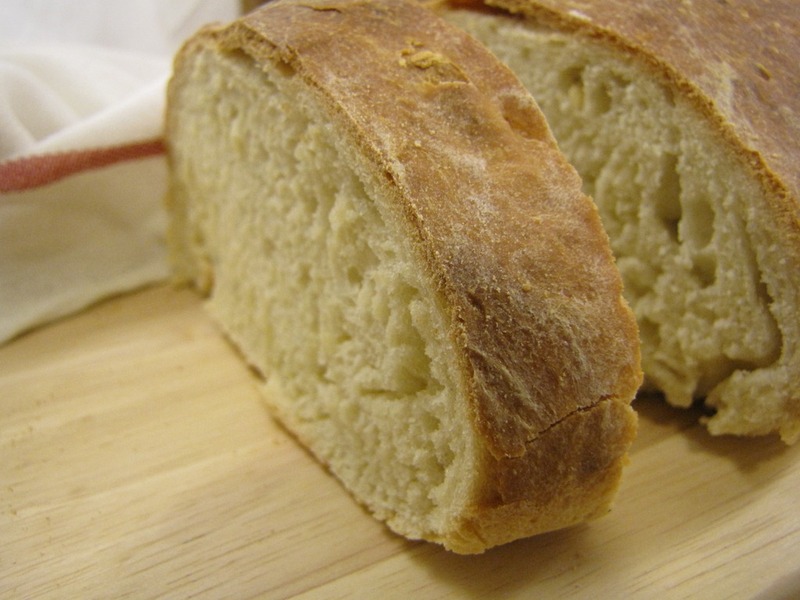 I baked a loaf of rosemary garlic bread to use, but you could easily buy a loaf of bread and let it go stale. 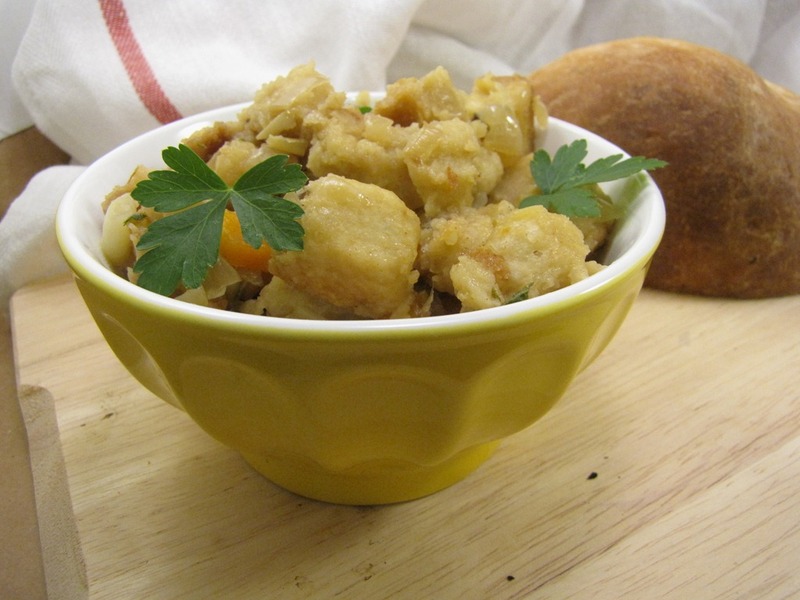 No need to bake the bread as well if you’re looking for a quick and easy stuffing. I swear, this tastes just like the real thing (actually, since it’s lacking in caramel color and disodium inositate, it’s arguably more real than the real thing). Just keep adding butter until it tastes like it came from the big red box. 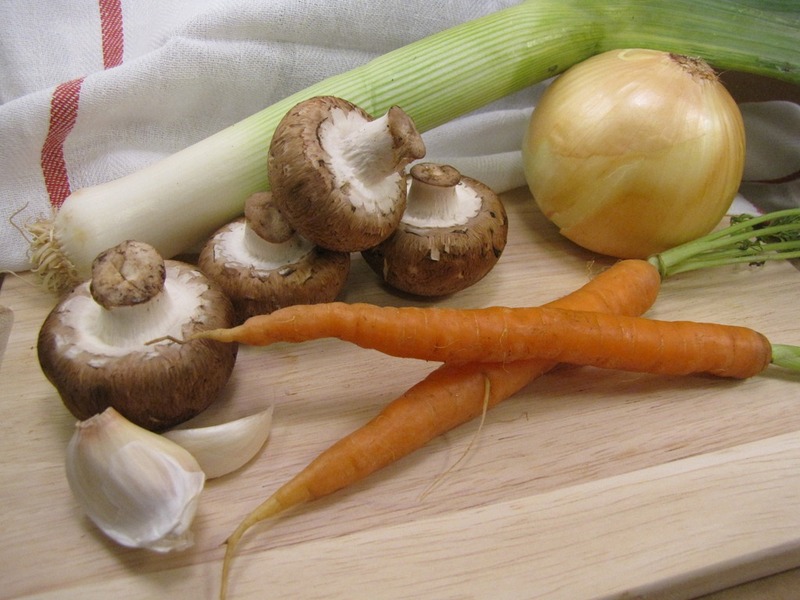 Start by preparing the onion, leek carrots, mushrooms, garlic, rosemary, thyme, sage and parsley. Heat all of these in a large pot with 1 tbsp of olive oil, until the vegetables have started to brown. Be careful not to burn anything. When the mixture is starting to get some color, add the water. Bring to a boil, and stir in the Better than Bouillon. Stir in the nutritional yeast and the soy sauce and turn the heat down to a simmer. Melt 1 tbsp of butter into the broth. Allow to cook for 15 minutes. Taste the broth, and adjust the seasonings accordingly. Melt in the other 3 tbsp of butter, cover, and let sit for 5 minutes before serving. Garnish with extra parsley if desired. Not the most photogenic dish, but it tastes just like I remember. Here’s hoping it tastes just like Amy remembers too. Have you ever remade a family favorite? This entry was posted in Food, Recipe and tagged mushrooms, recipe, thanksgiving, vegetarian. Bookmark the permalink. OOoooh man. I’ll be sticking with the Stovetop, but I am SO excited to try a bite of this and see how it came out!! Any recipe that includes directions to “just keep adding butter” has to be good! We never had stovetop while I was growing up because my mom was obsessed with making everything from scratch, but I LOVE good stuffing and this looks perfect! Nice! I’m making cornbread ‘dressing’ (stuffing) with homemade cornbread, lots of dried apricots, walnuts, veg broth … whatever else I have on hand to throw in there. I personally don’t love stuffing but it’s tradition and thus it will be on the table!